Thank You to everyone who joined us at the 2018 A Night of Promise. Together, we raised over $920,000 for Type 1 diabetes research! On Wednesday November 7, 2018, 400 people gathered at The Carlu in downtown Toronto. Guests enjoyed flame-seared sushi by Miku Restaurant and chocolate samples from Fraktals, listened to violin and conga beats from ONQ Music, bid on silent and live auction items, and were inspired by our Fund A Cure speaker and Youth Ambassador, Rohan Sikri. JDRF honoured the Jackson Family for being a beacon of hope to all type 1 families, through their endless support and relentless passion to find a cure. A special thank you to our sponsors, donors, Committee and volunteers for making this night possible and helping to turn type one into type none. 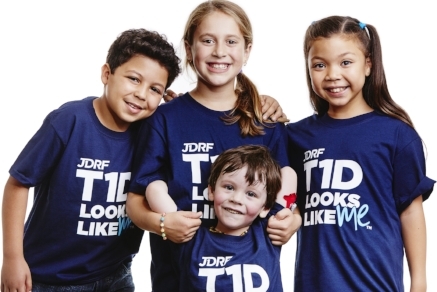 Find out more about how JDRF is working to turn type one into type none. Join us for an exceptional evening to raise funds and celebrate the advancements that have been made in diabetes research.